Washington: A single monoclonal antibody isolated from a human survivor of Ebola virus disease (EVD) completely protects monkeys from the lethal virus, and could hold promise as a potential treatment for infected humans, according to new research. The antibody, known as mAb114, was effective even when given five days after exposure to Ebola virus, researchers said. 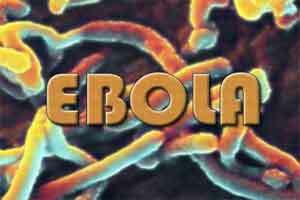 Although several clinical trials are in progress, there are currently no licensed therapies against Ebola virus. Antibodies, or proteins produced by the immune system in response to infection, represent one possible approach to treating the disease. Researchers from the US Army Medical Research Institute of Infectious Diseases (USAMRIID) administered a lethal dose of Zaire ebolavirus to rhesus macaques. After five days, the team treated three of the animals with daily intravenous injections of mAb114 for three consecutive days. All the treated animals survived and were free of EVD symptoms, while the untreated animal developed clinical signs of the disease. The antibody was developed by scientists at the US National Institute of Allergy and Infectious Diseases, who discovered Ebola virus antibodies in blood samples from a survivor of the 1995 Ebola virus outbreak in Democratic Republic of the Congo. Researchers from the Institute for Research in Biomedicine in Switzerland isolated the specific antibodies to test for potential efficacy in treating Ebola virus infection. According to John C Trefry, of USAMRIID, a principal investigator, the study is the first to successfully evaluate a single antibody for efficacy against Ebola virus. Ebola virus causes severe hemorrhagic fever in humans and nonhuman primates with high mortality rates and continues to emerge in new geographic locations, including West Africa, the site of the largest outbreak to date. Since 2014, over 28,500 cases have been reported in Guinea, Liberia and Sierra Leone, with over 11,000 deaths, according to the World Health Organisation.